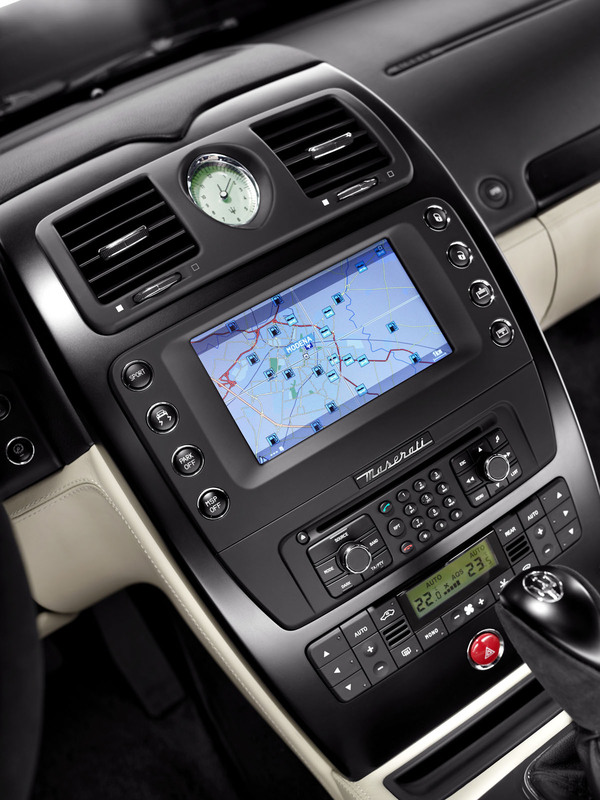 Since the Quattroporte was introduced six years ago, it has received fifty-six awards from publications in fourteen different countries. Both the press and enthusiasts have praised the sport luxury sedan for its style, performance, and craftsmanship. 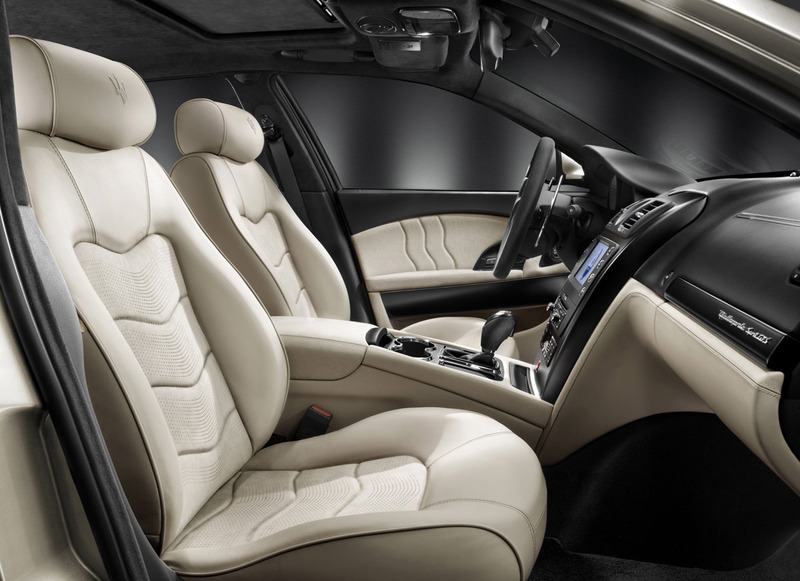 To commemorate the Quattroporte’s success, Maserati has introduced a special Quattroporte Sport GT S Awards Edition that showcases numerous interior and exterior details. 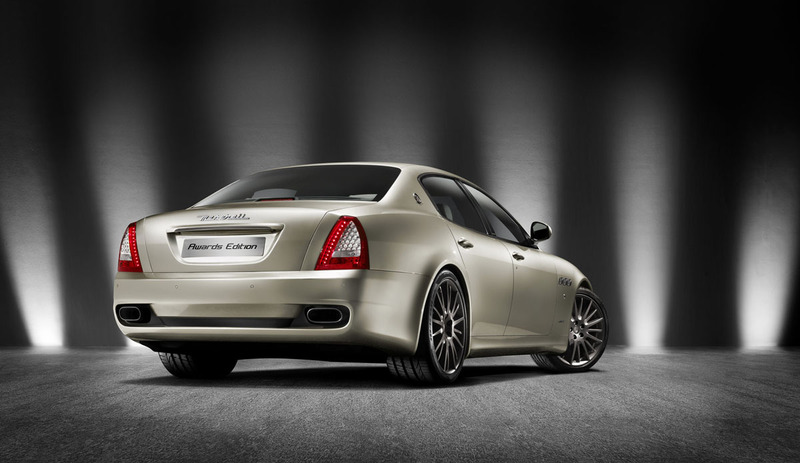 Based on the Quattroporte Sport GT S, the Awards Edition features the same elegant lines and shape that made the Quattroporte famous, and dresses them in a beautiful pearlescent metallic gray with golden nuanced color. Exterior chrome pieces receive a burnished treatment, along with the six side air vents and imposing grille. This burnished treatment compliments the Multi Trident 20-inch dark gray wheels with satin finish. 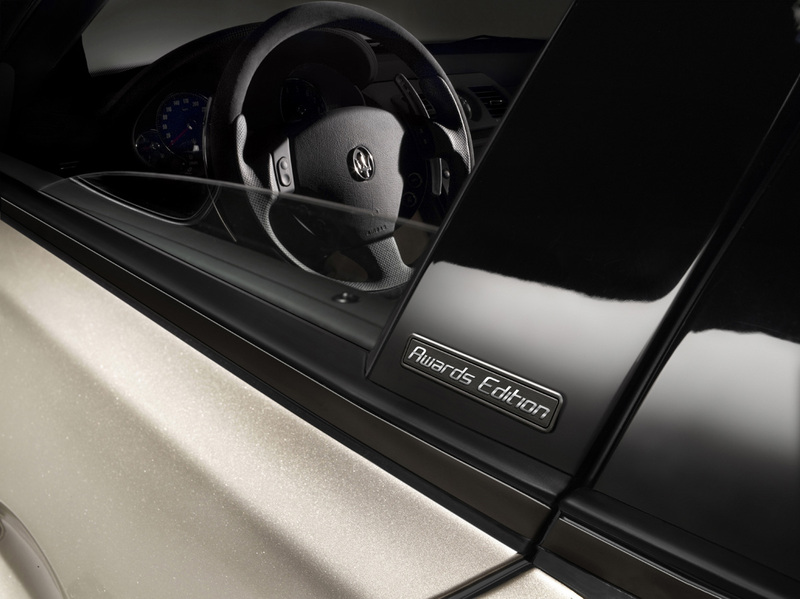 Further distinguishing the special edition is an Awards Edition series plate on the door pillar. 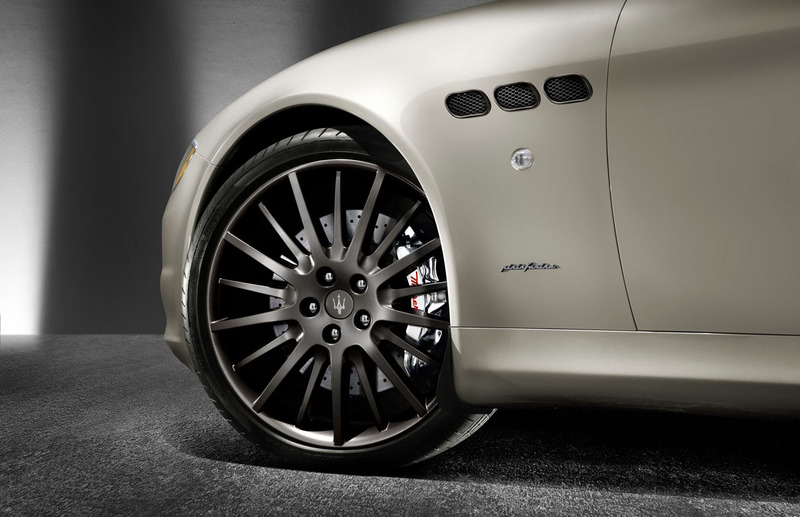 For the first time in the market Maserati is introducing polished brake calipers. In conjunction with Brembo, the polished calipers will be featured on the new Awards Edition. Using the same braking system as the Quattroporte Sport GT S, the calipers are treated with a precision mechanical process and given a hand finish. The lustrous calipers are fitted to both the front and rear and shine through the dark gray wheels. Presenting occupants with both a sporty and exquisite atmosphere are various exclusive enhancements. New Poltrona Frau leather and perforated alcantara adorn the seats, and are stitched in a flowing wave-like pattern. 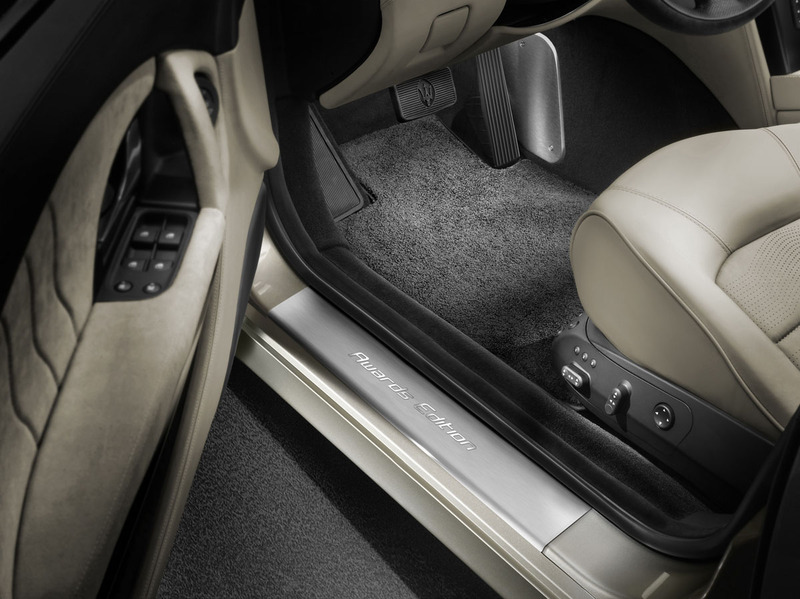 The door trim also features the unique stitching, while the headlining sills are outfitted in alcantara. Contrasting the warm leather color is a Piano Black satin-finish wood used throughout the dashboard. Brushed aluminum doorsills with the Awards Edition logo greet occupants. In the trunk, a chrome finish and leather side pocket have been added to the full black trim. 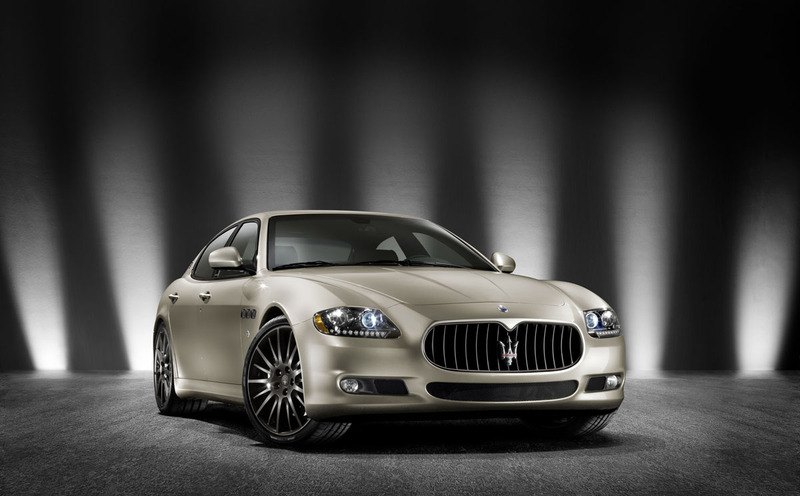 The Maserati Quattroporte Sport GT S Awards Edition utilizes the same 4.7-liter V-8 found in the Sport GT S trim. The 433 horsepower V-8 sends power to the rear wheels via a six-speed automatic transmission with manumatic shifting. With one of the sexiest exhaust notes, the Awards Edition accelerates to 62 mph in just 5.1 seconds, on its way to a top speed of 177 mph. 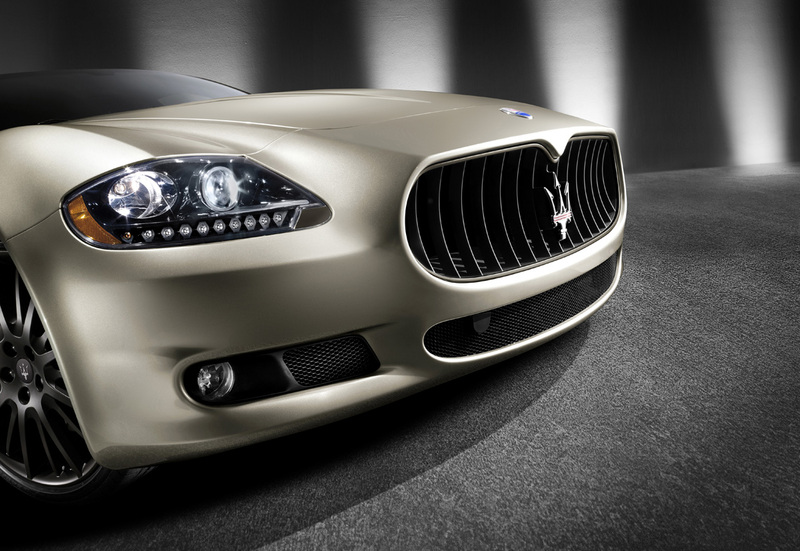 The Quattroporte Sport GT S Awards Edition will be sold as a 2011 model and be available in the second half of 2010. Pricing is expected to start in the mid – $140,000 range.